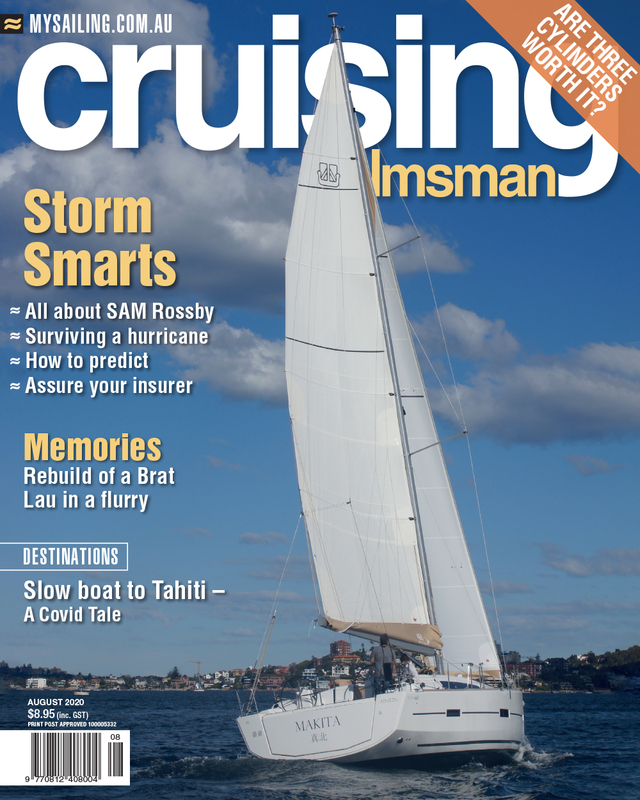 Devastation has been wrought upon the eastern seaboard of Australia and the March issue of Cruising Helmsman offers timely advice and adventurous stories regarding storms and floods. Out in the middle of nowhere in a raging tempest is not the time to see how your storm jib works. One cruiser found this out the hard way and presents his tips on how to properly set up, prepare and practice for when the eventuality occurs. Another boat owner has described how he set his boat up in preparation for Hurricane Sandy when it hit New York recently. On a more positive note one couple detail how they took over their beloved boat that was written off after Hurricane Yasi two years ago and rebuilt her back to her former glory. We also have detailed stories of danger and bravery in the Java Sea, Mallorca and the Singapore Straits. On calmer notes we visit the Langkawi yachting marina at Rebak Island and Miri marina in Borneo. Alan Lucas 'talks up' how easy it is to 'torque down' your engine heads and Christina Smolder gives good medical advice when contemplating travelling through SE Asia with a young family. Plus tons of adventure reading, news and useful tips with the usual collection of regular items such as Ideas Locker, Cruising Chef, Skipper's Checklist and Book Review.